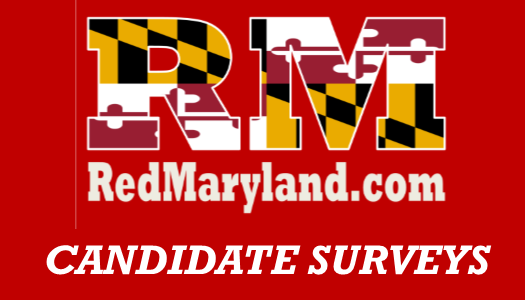 For the first time, Red Maryland will be sending surveys to all candidates running in this year’s primary elections. All County Offices (County Executive, County Council, Sheriff, etc). Additionally, we will be sending candidate surveys to all candidates running in non-partisan Board of Education elections. Why are we doing this? Partially because you, our readers and listeners, asked for them. We often get feedback that it is difficult to find out information about the candidates, what offices they are running for and their positions. These surveys are one way to help close that information gap. These surveys will provide information to our readers and in an effort to provide a forum for candidates to share information about themselves and their positions so they can explain to you, the voters, why you should support them. These candidate surveys will also help influence the decision-making of Red Maryland editors in issuing candidate endorsements during the primary elections. We’ll be printing the answers of the candidates verbatim and in the order in which we receive them, and we truly look forward to providing this information to you and sharing information about these candidates.